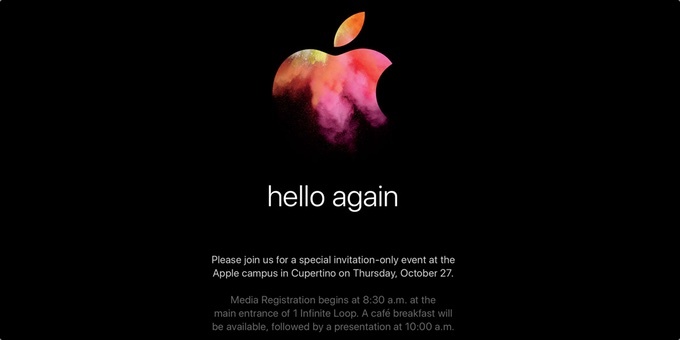 Apple、現地時間10月27日午前10時（日本時間28日午前2時）よりスペシャルイベント「hello again」を開催。 | AAPL Ch. Apple has confirmed the news that went around yesterday—it is in fact having an event at 10am Pacific/1pm Eastern on October 27th at its campus in Cupertino. 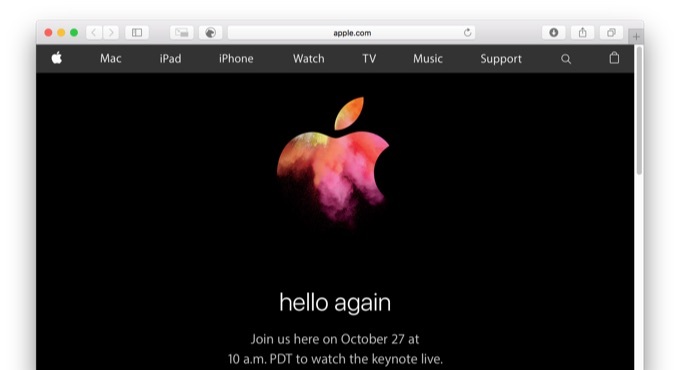 Per usual, Apple’s invitation doesn’t give much away, but the event is widely expected to focus on new Macs.